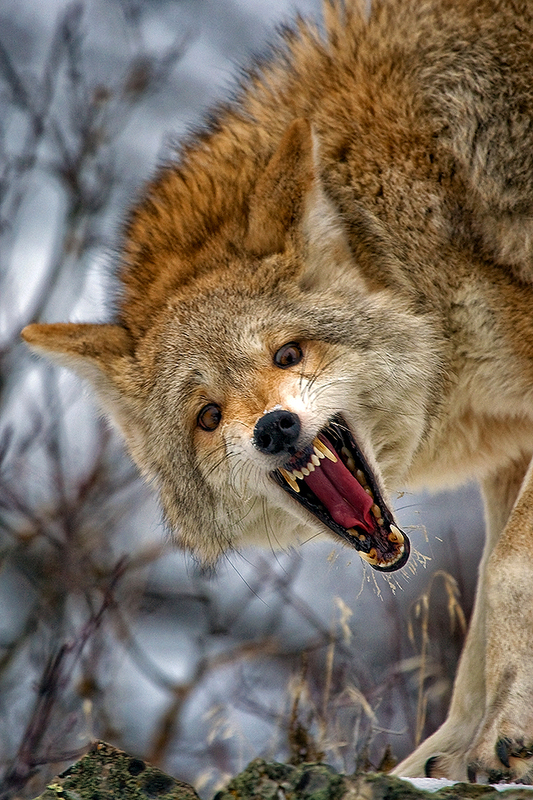 This coyote was in a defensive stance, obviously not happy about being disturbed. The interesting and unusual angle was obtained by standing lower than the animal. He was standing on a small rock formation, and was warning that he was not in the mood to have his portrait taken. This capture was caught as the photographer was backing away, giving the coyote plenty of room!